Today I’m sharing my 3 favorite exercises against forehead wrinkles. Exercise #1) Step 1 -> Try to frown as much as possible and try to brink your eyebrows over your eyes, while pulling the eyebrows toward one another. Step 2 -> Lift your eyebrows as far as possible while opening your eyes as far as possible. Repeat this 5 to 10 times. Exercise #2) Step 1 -> Lie on your bed facing the ceiling, while your head is hanging over the edge. Step 2 -> Lift your eyebrows as high as possible, with your eyes opening wide. Repeat this 5 to 10 times. Exercise #3) Bring your eyebrows down over your eyes, wrinkle your nose as far up as possible while flaring your nostrils. Keep it there and count to 10. Repeat 5 to 10 times. Good luck! Bye bye wrinkels! Facial exercises do help wrinkles together with a lot of water! WOW! I use a wrinkle cream but I had no idea that there were exercises you can do to prevent wrinkles on your forehead. That is so cool! I will definitely share this with my friends. 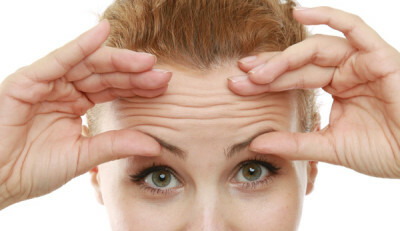 What treatment/surgery can permanently remove forehead wrinkles? wow, glad to learn about these exercises. Your article is no doubt quite informative but I have a question, I have coconut allergy can I still use Coconut oil for forehead wrinkles? I would love to hear your expert advice.